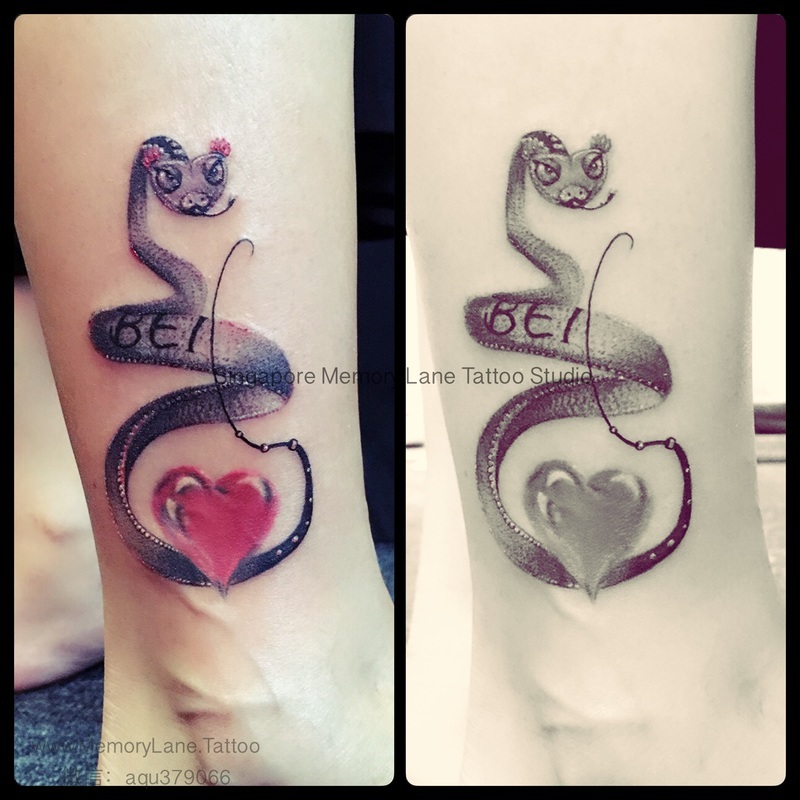 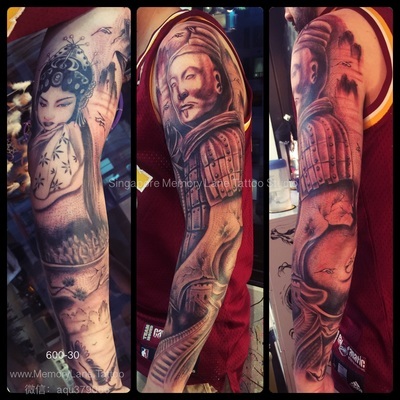 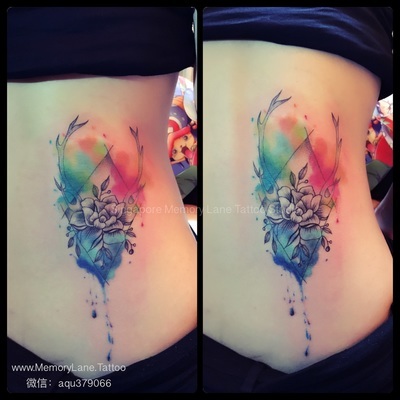 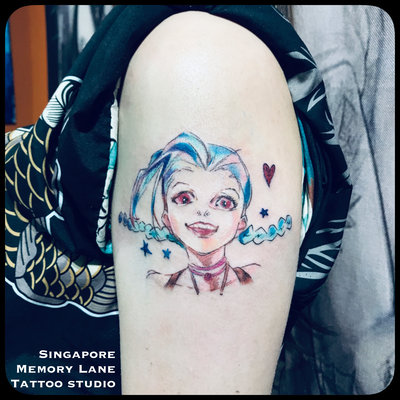 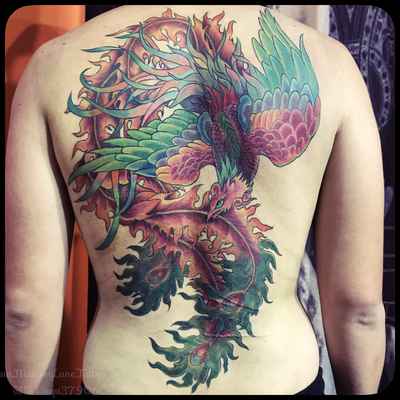 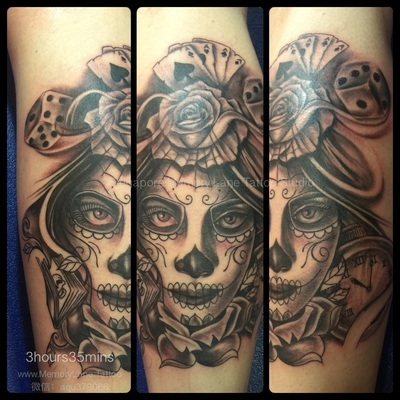 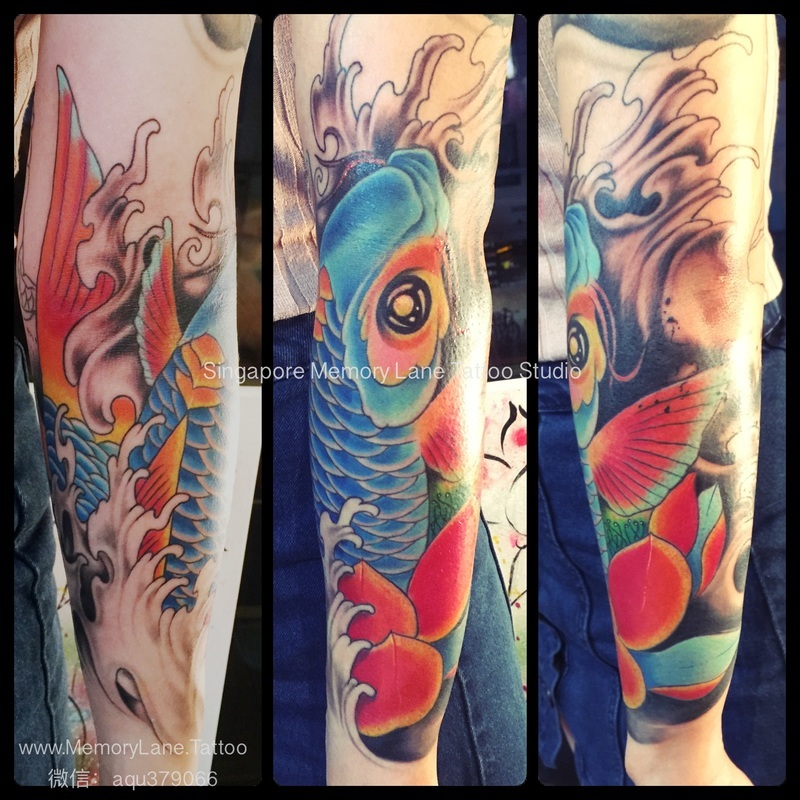 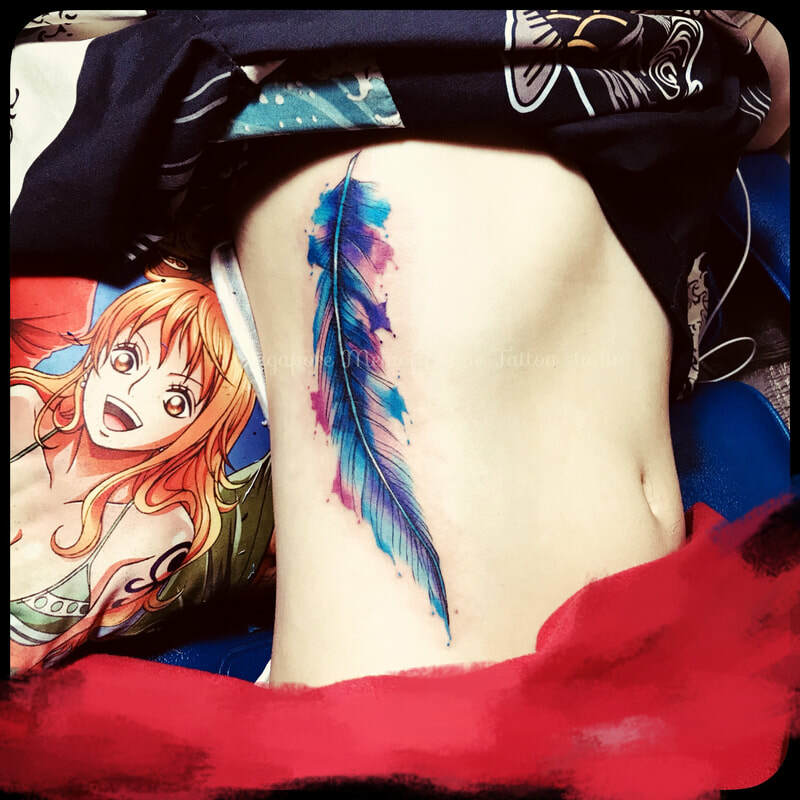 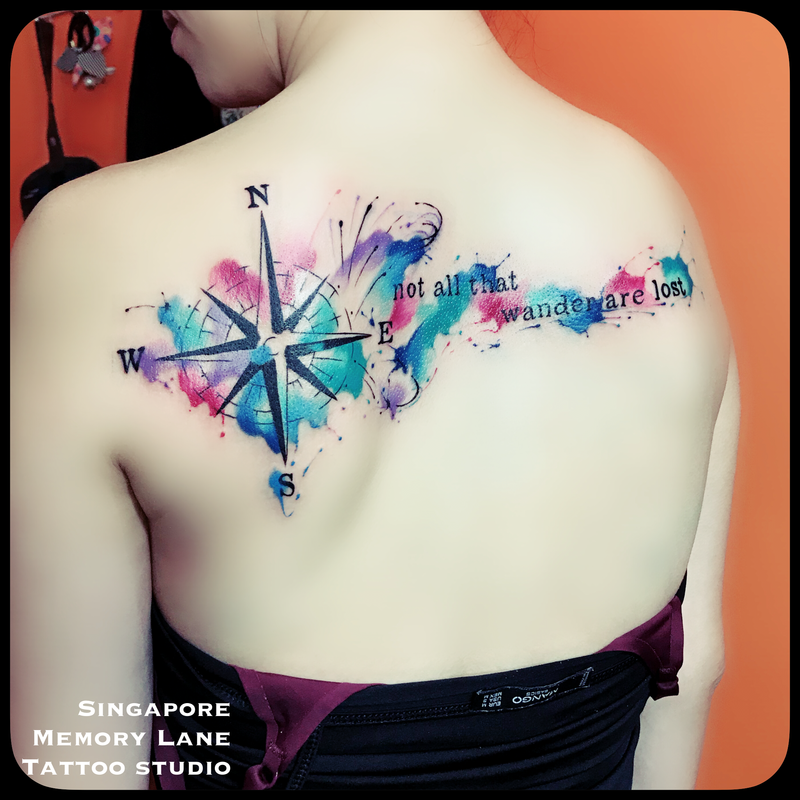 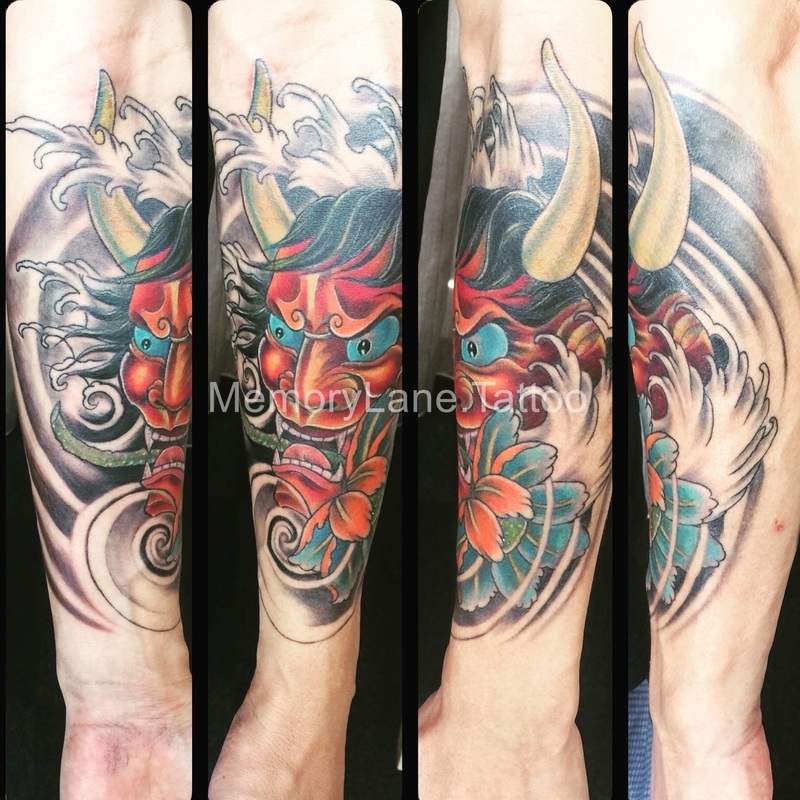 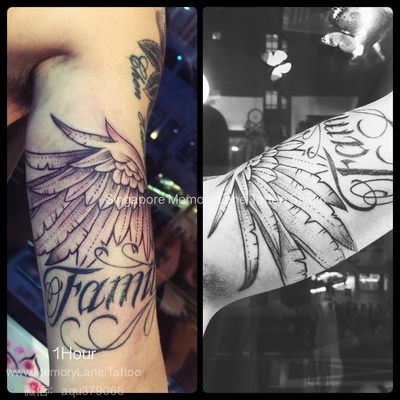 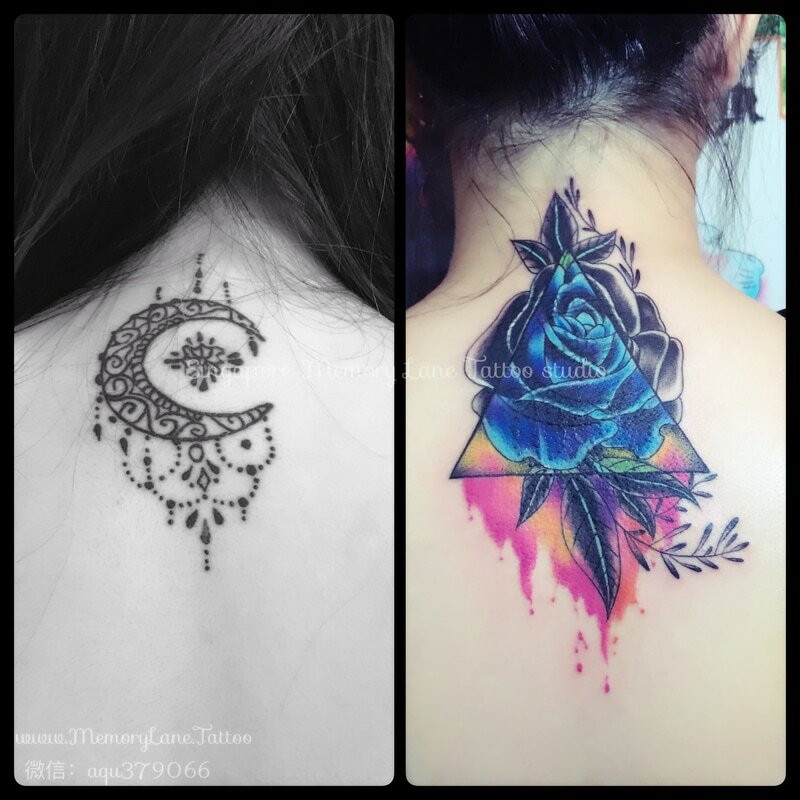 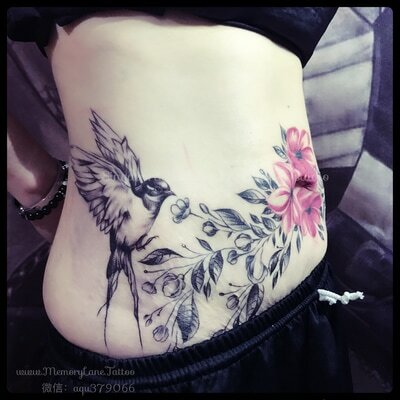 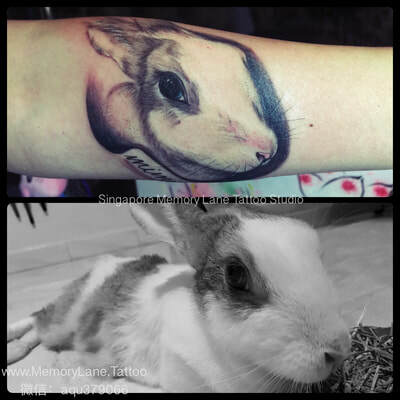 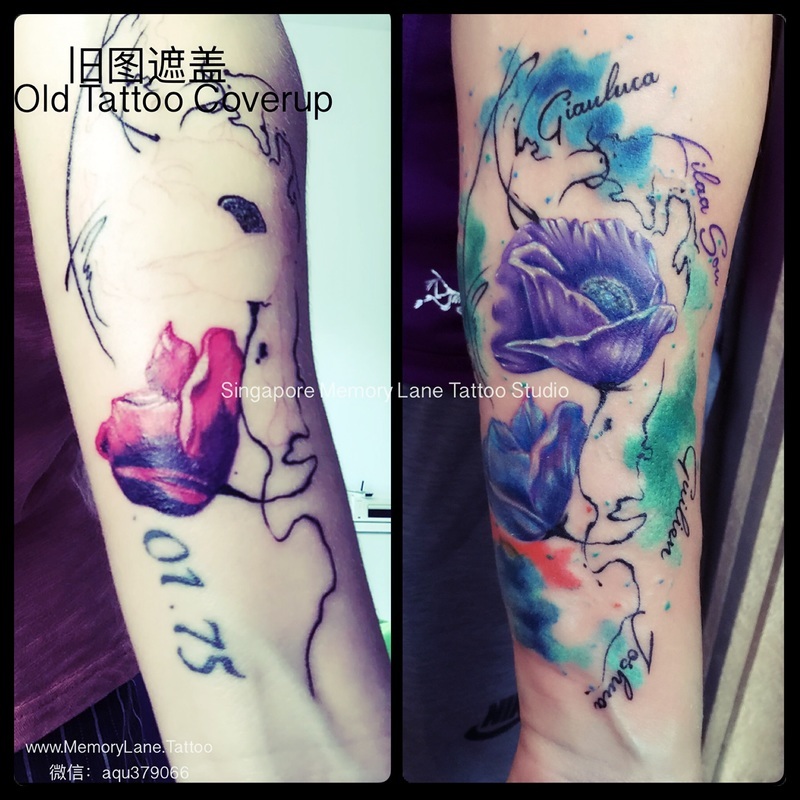 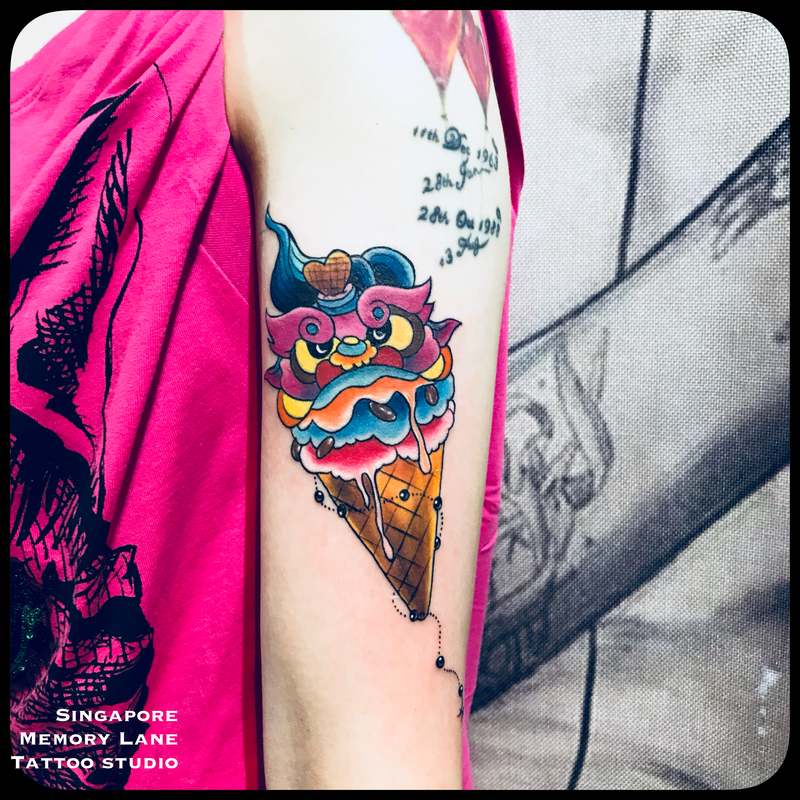 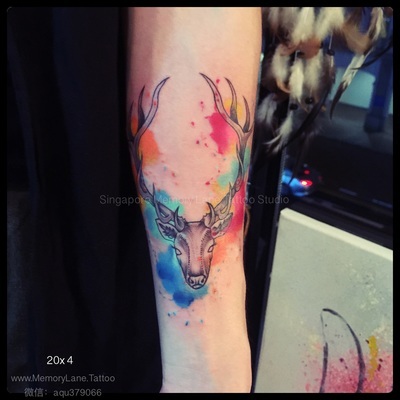 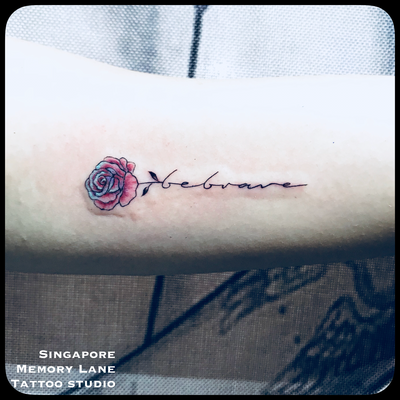 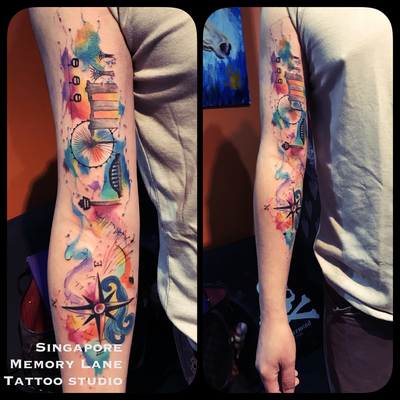 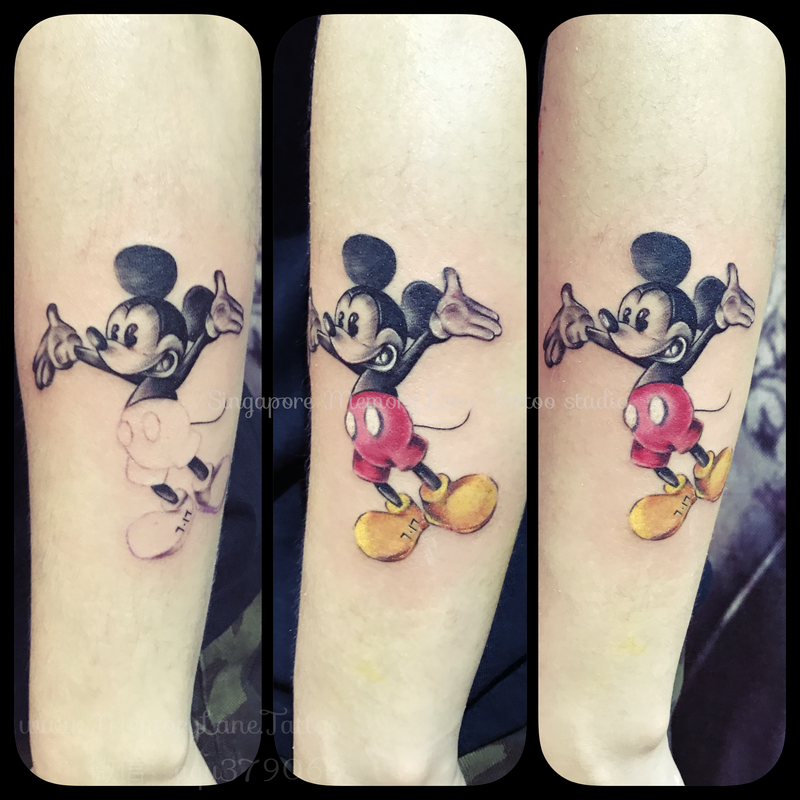 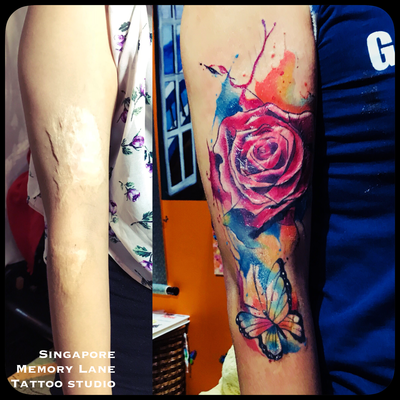 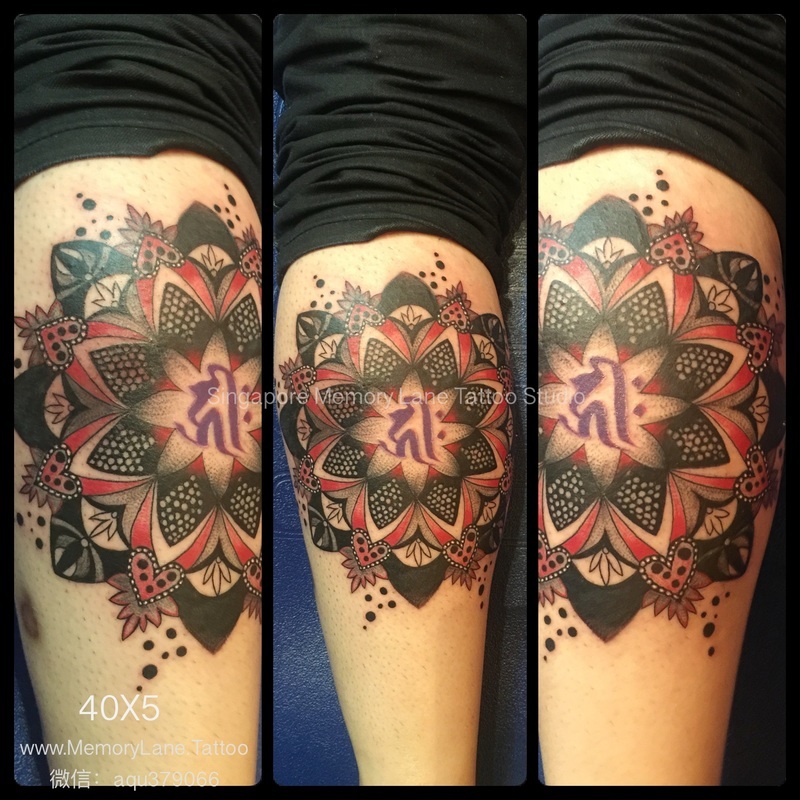 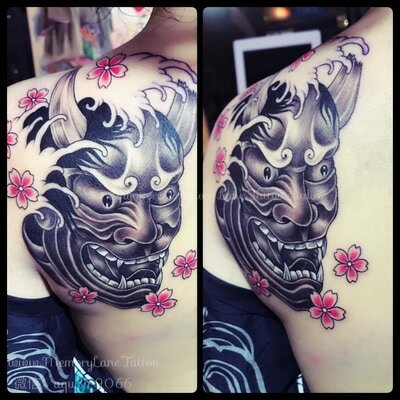 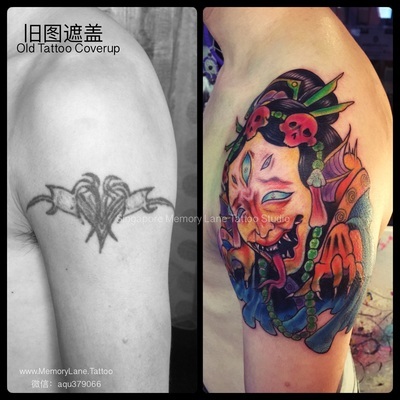 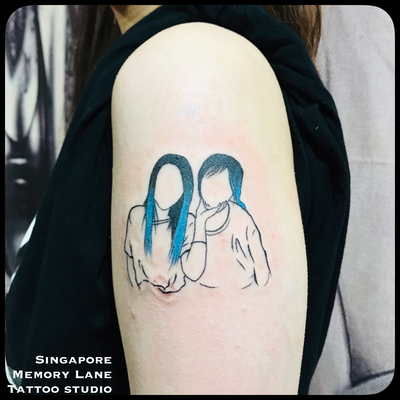 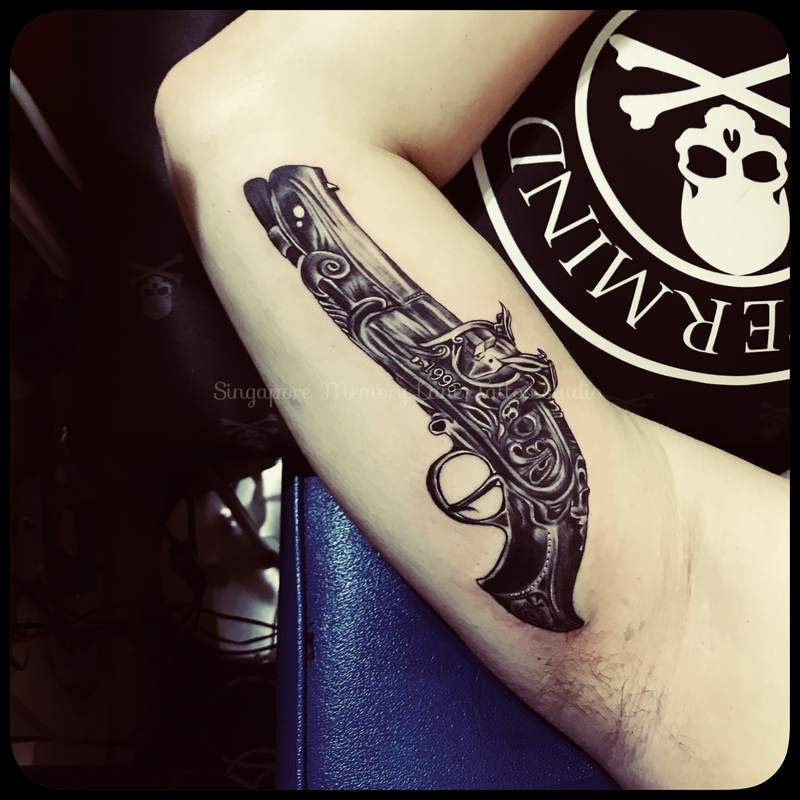 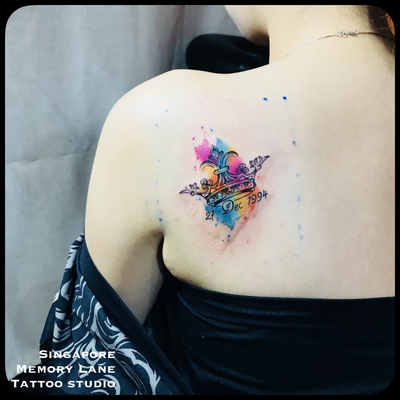 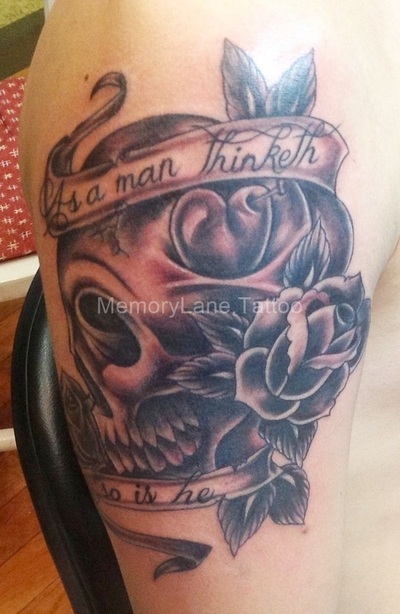 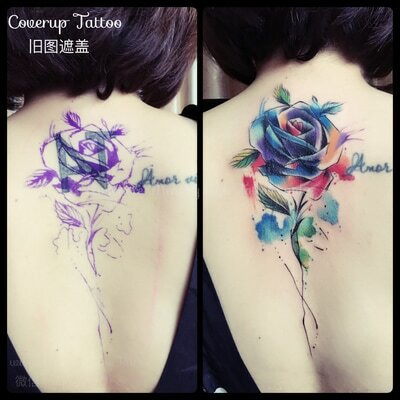 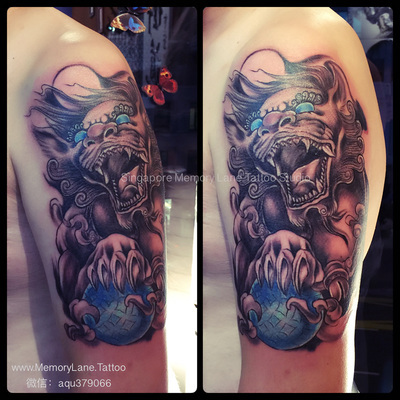 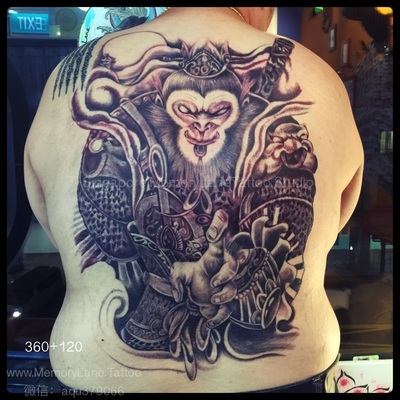 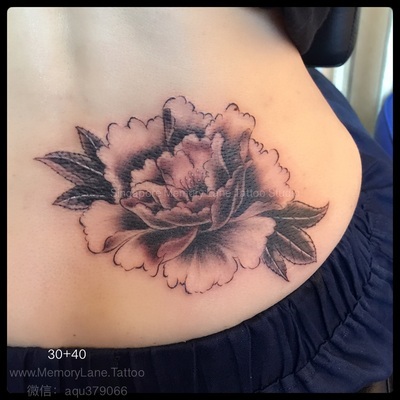 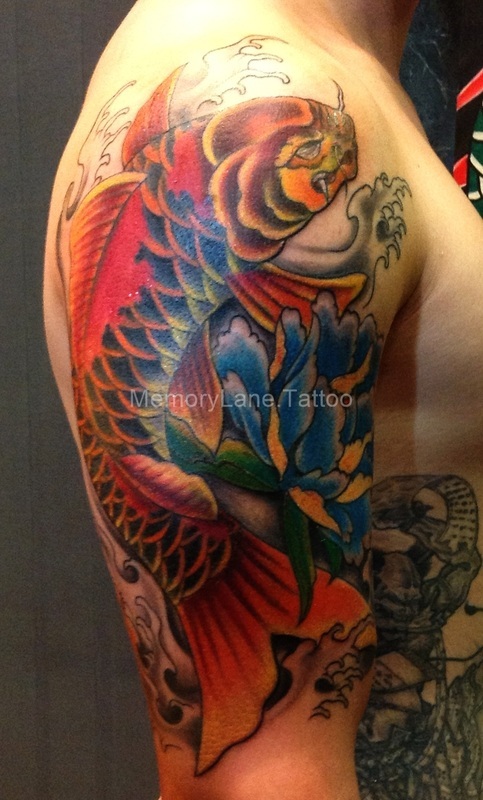 Memory Lane is Singapore's leading Tattoo Studio founded with the body art enthusiast in mind. 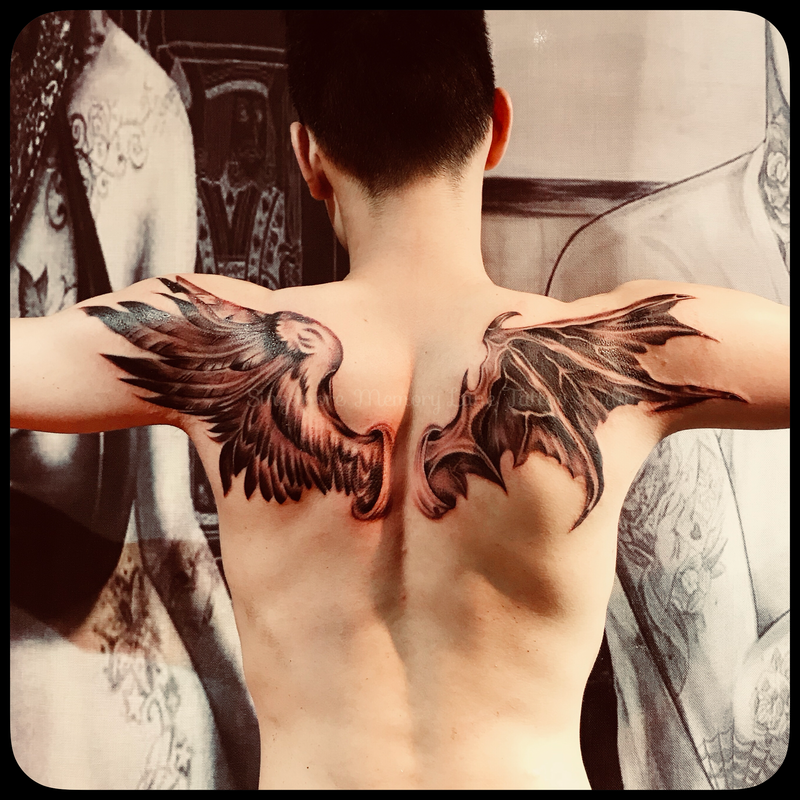 Backed by over a decade's worth of industrial experience, we have made our mark on bodies from around the world - from royalty to celebrities and the everyday Joe. 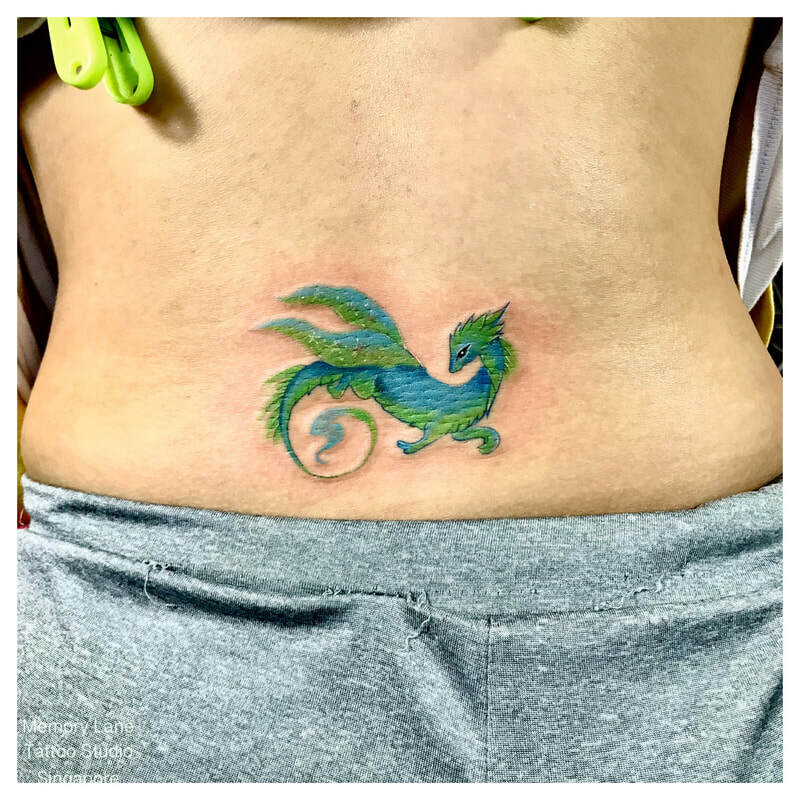 Our studio is equipped with state-of-the-art equipment and follow stringent hygiene standards to ensure the quality of our work and the safety of our clients. 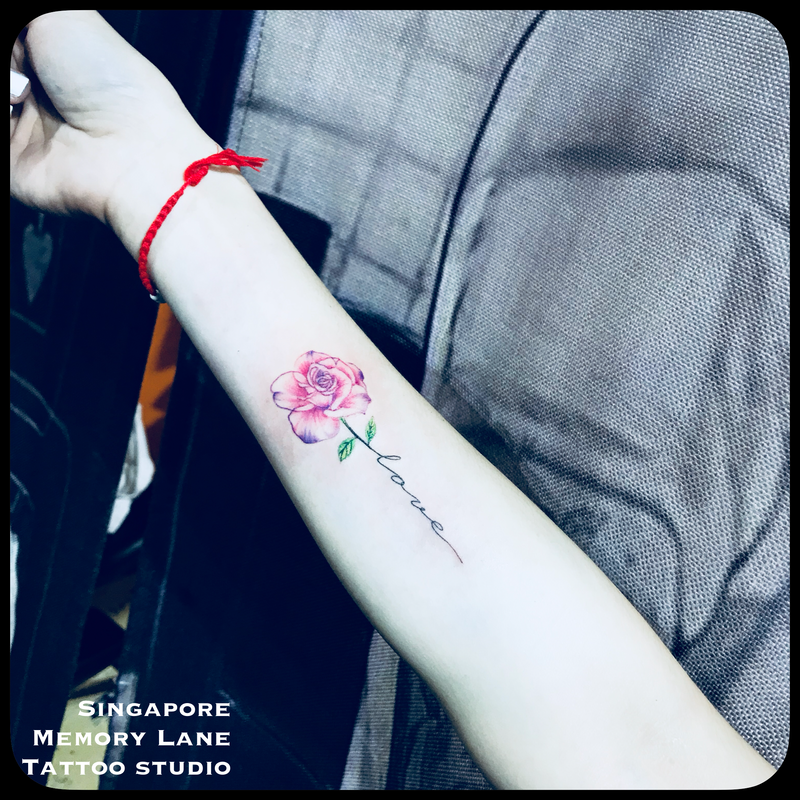 "Memories are what defines our very existence. Whether it's something memorable that happened, a major milestone, or simply just for fun, you so cherish that you hope to capture that moment, either as a keepsake or reminder. 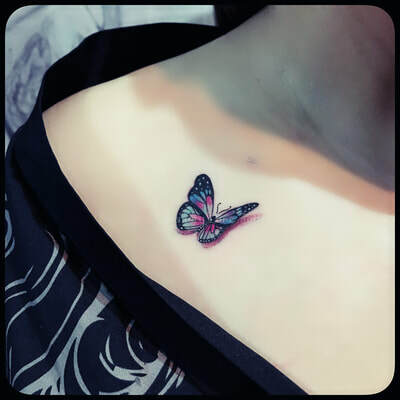 How would you remind yourself of it? 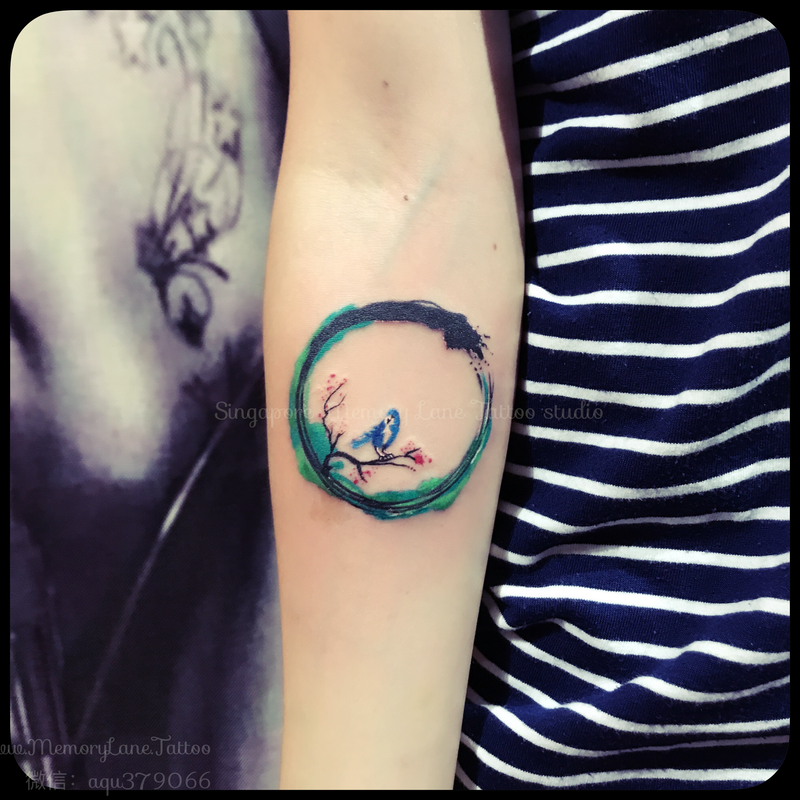 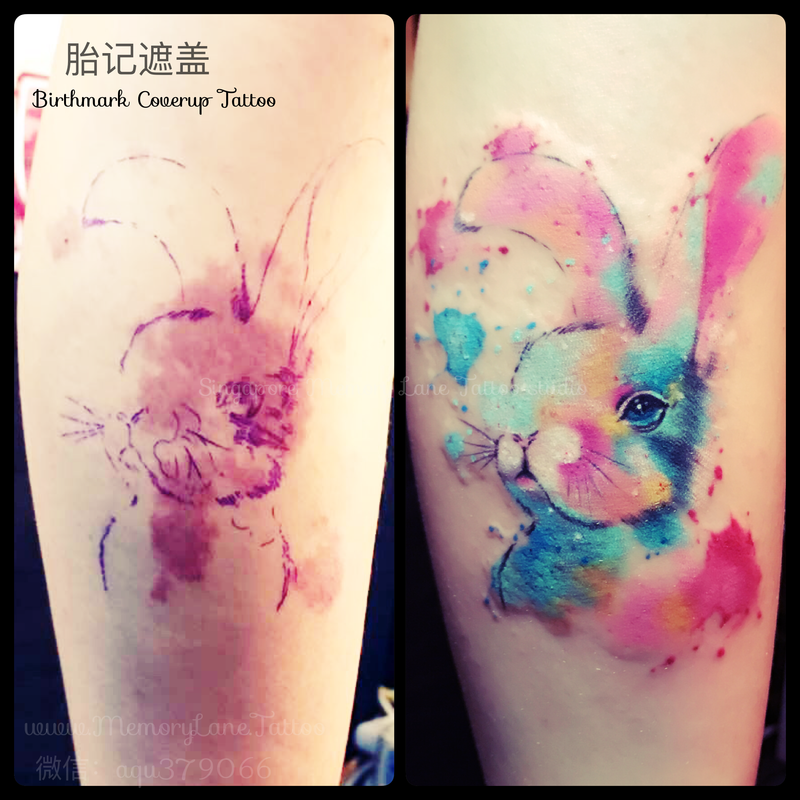 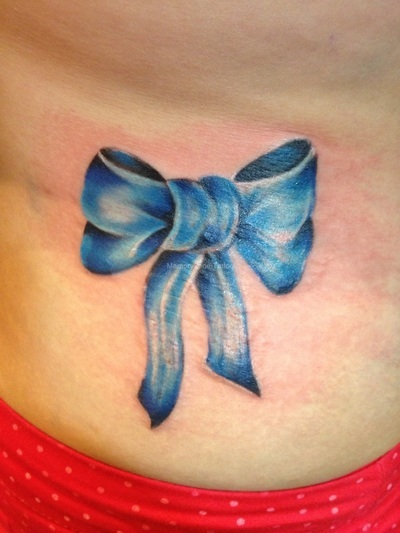 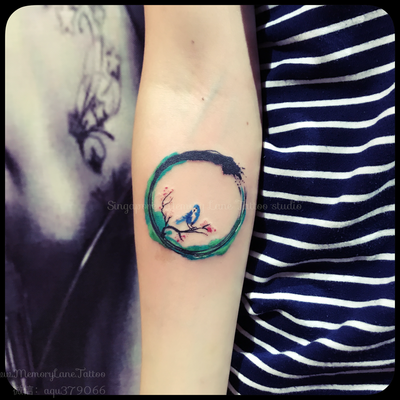 Getting a permanent tattoo expertly crafted and beautifully executed is the best reminder of that day/event. Memory Lane is all about helping you immortalize that very moment!" 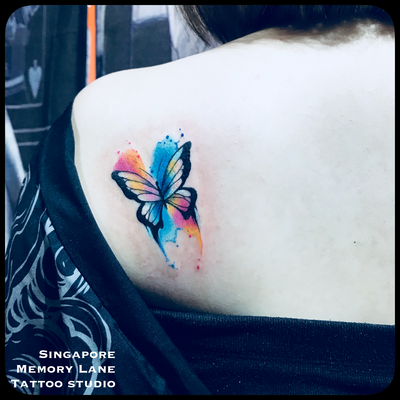 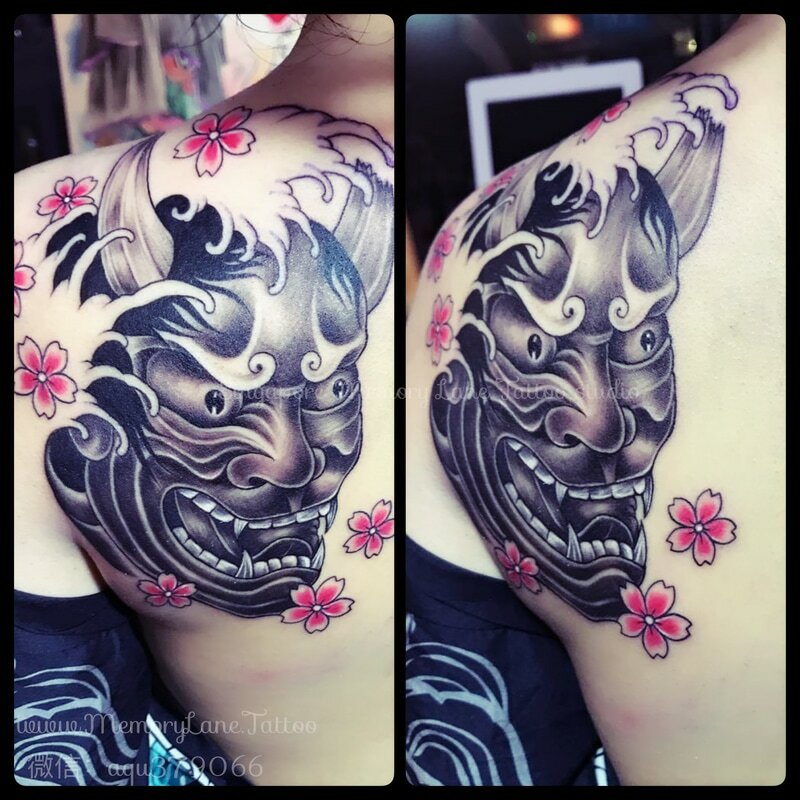 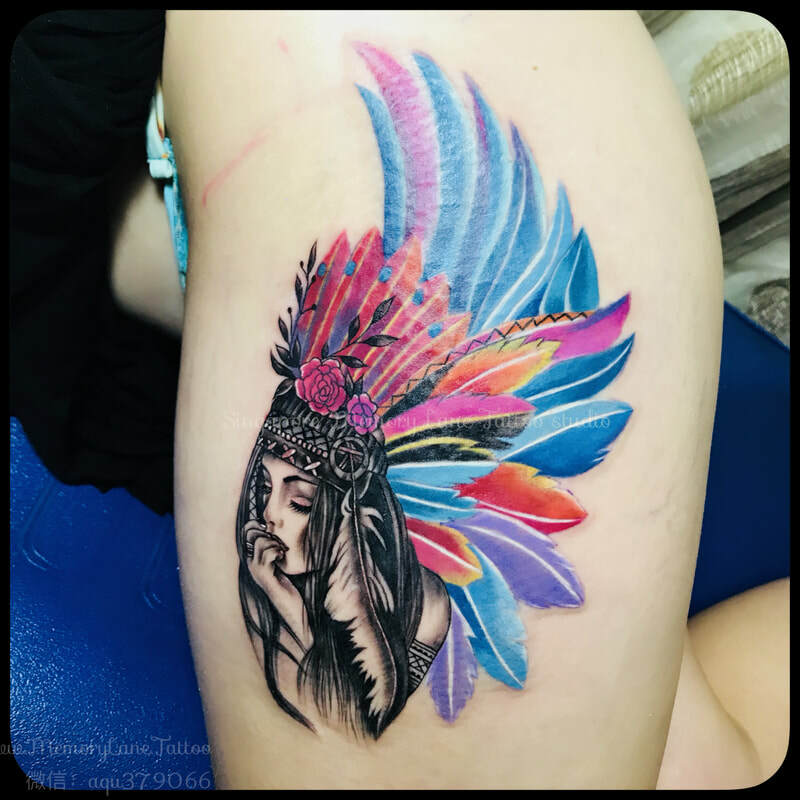 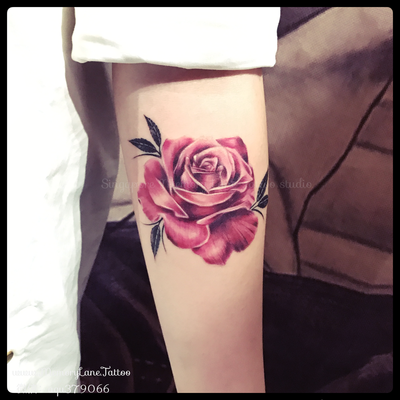 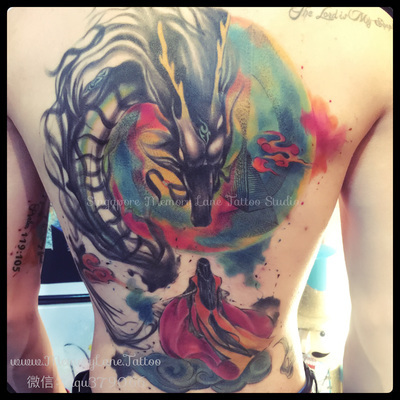 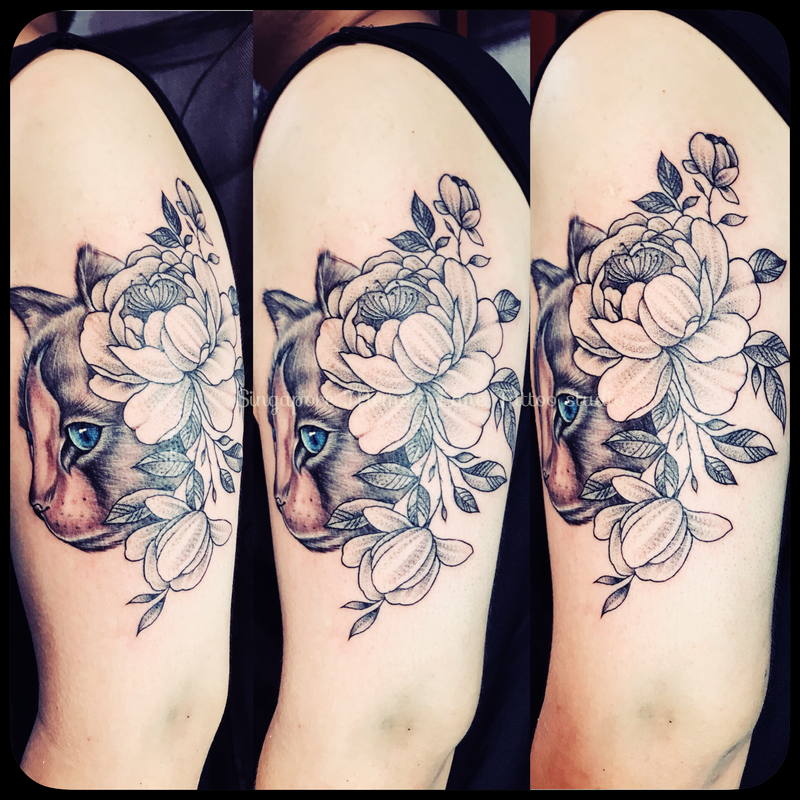 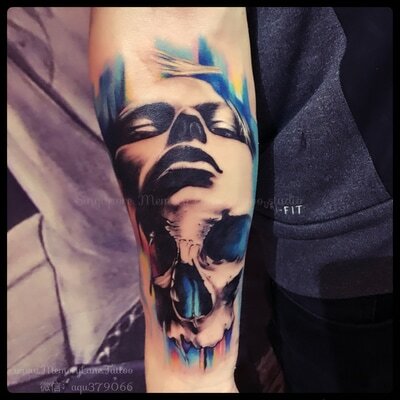 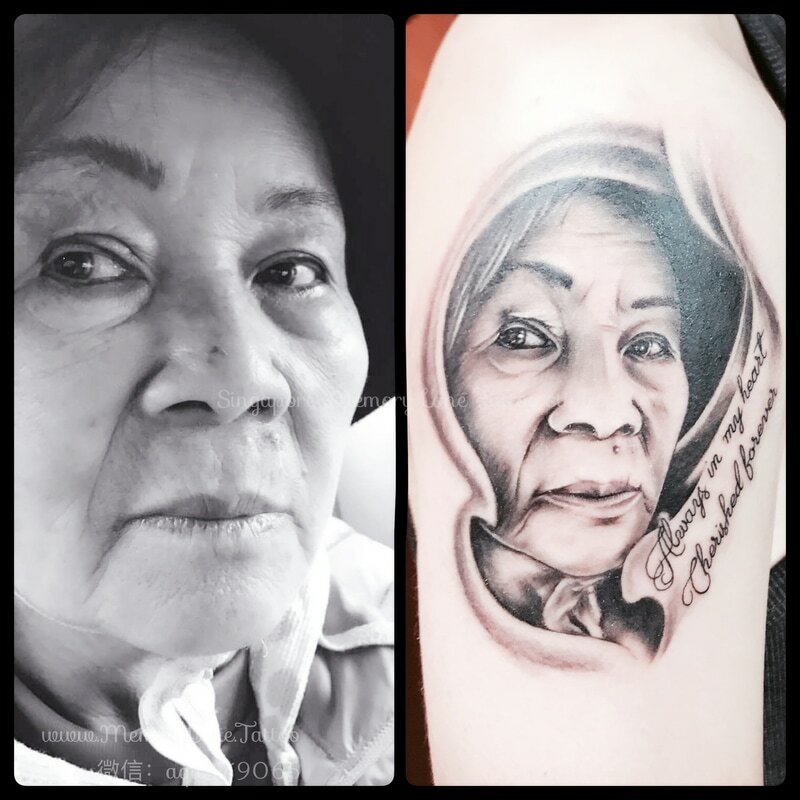 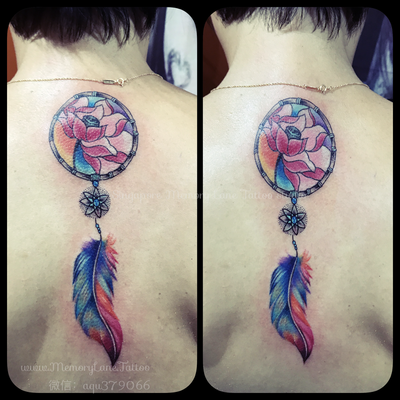 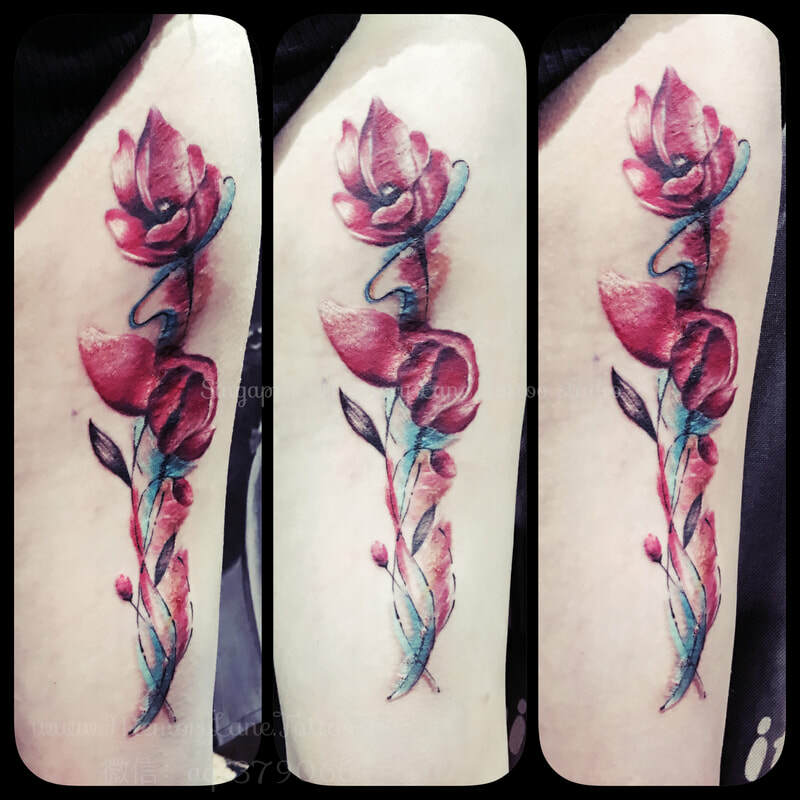 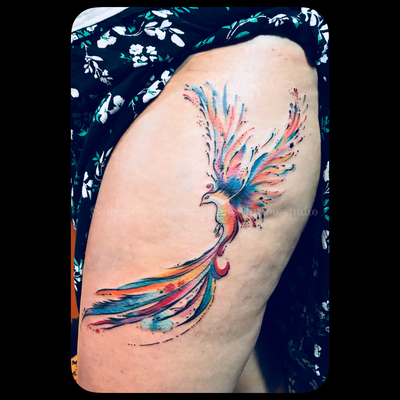 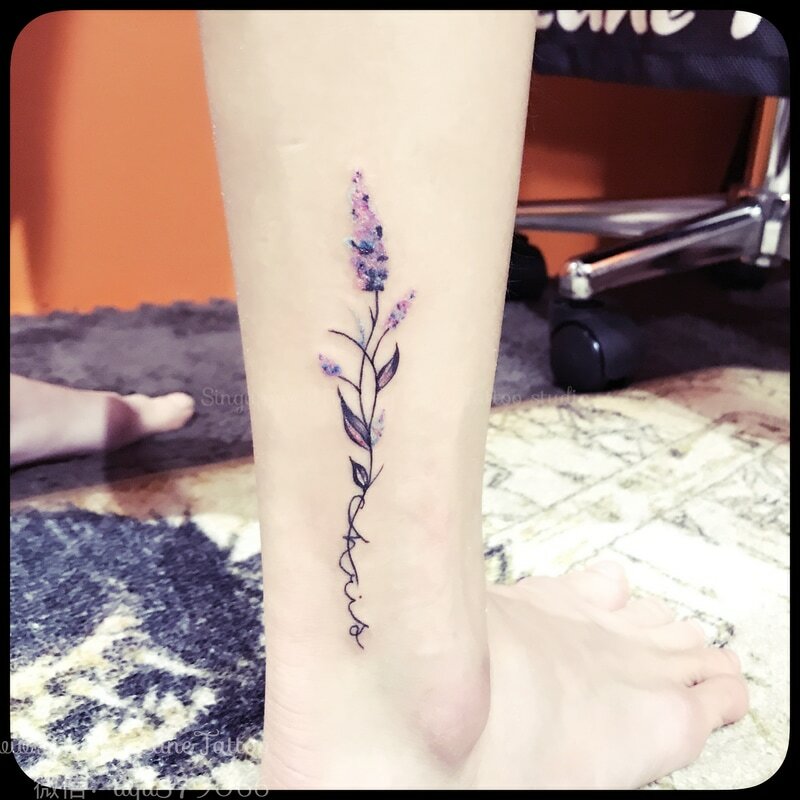 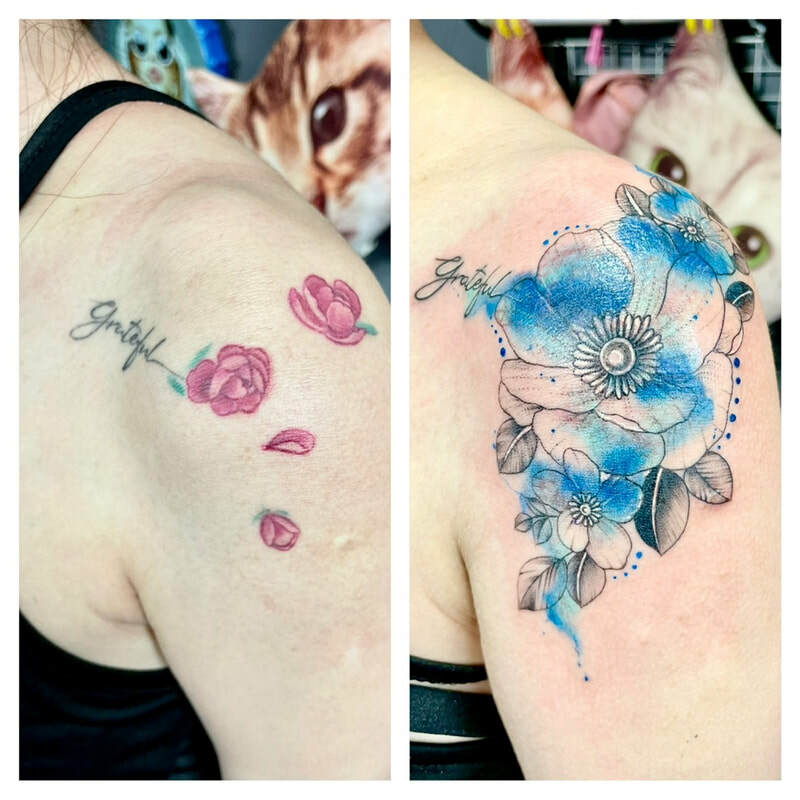 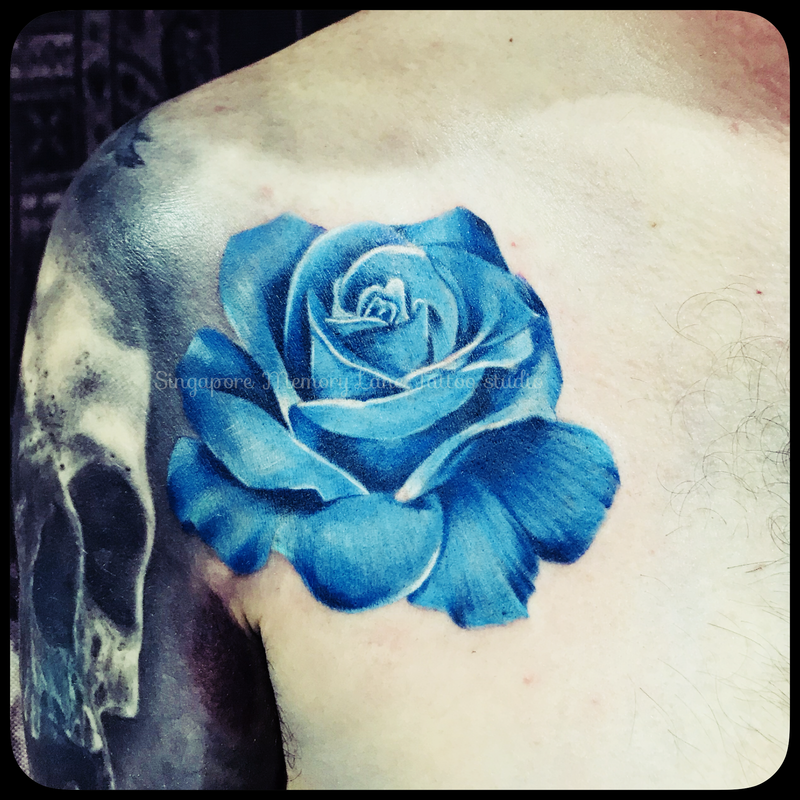 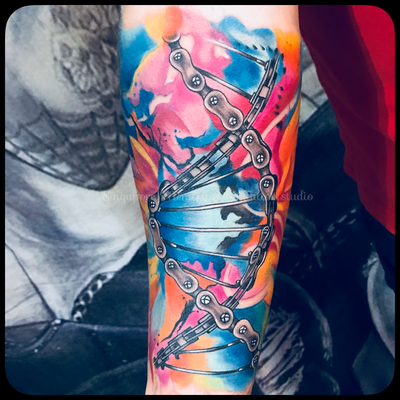 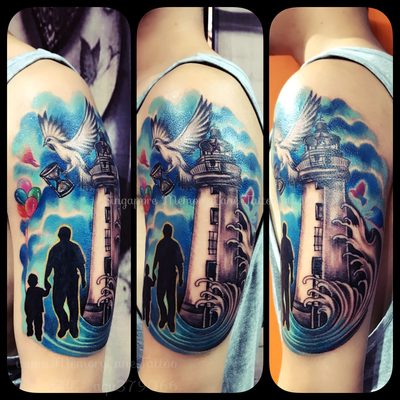 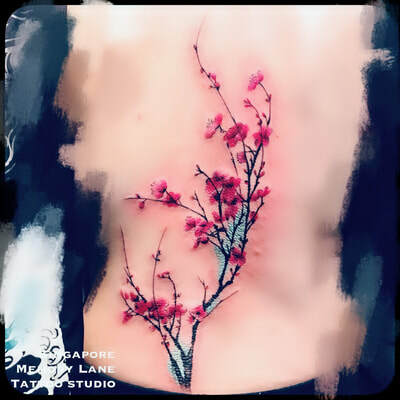 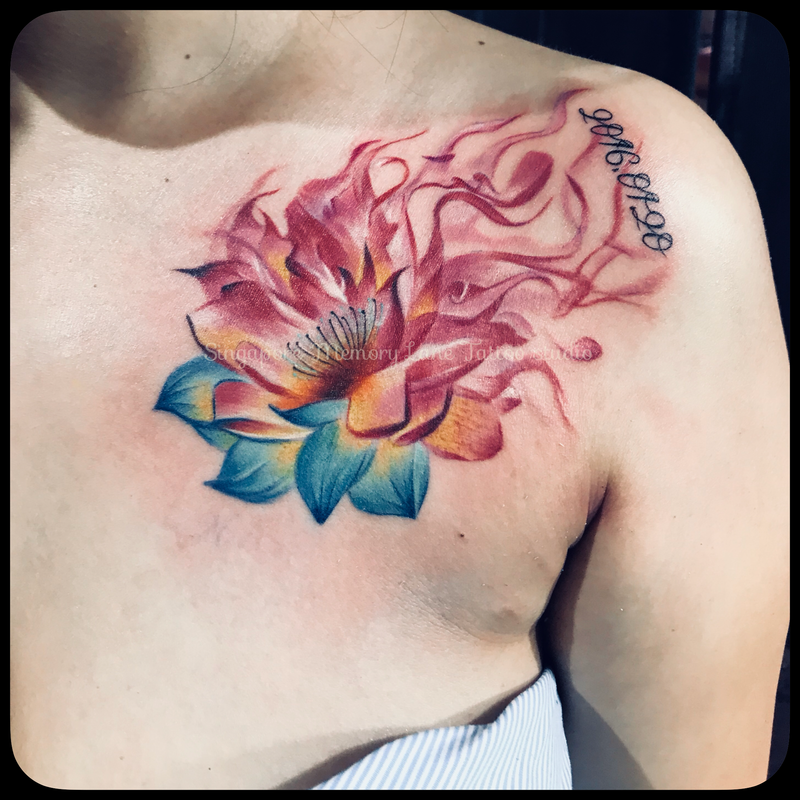 Tattoos have been elevated into an art form by a few talented artists, and that legacy continues at Memory Lane Tattoo - we strive to create pioneering artwork for the human body that is both meaningful and pleasing to the eye. 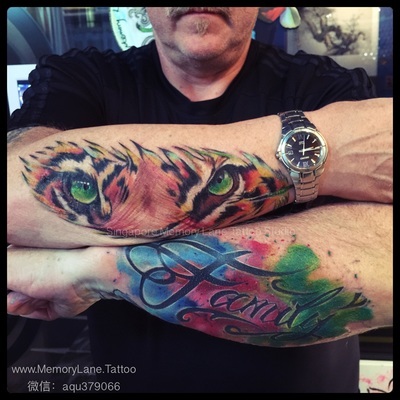 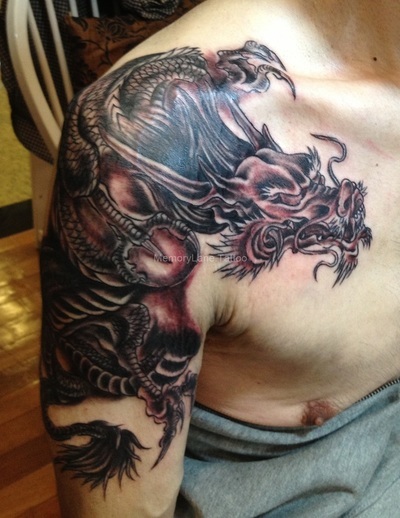 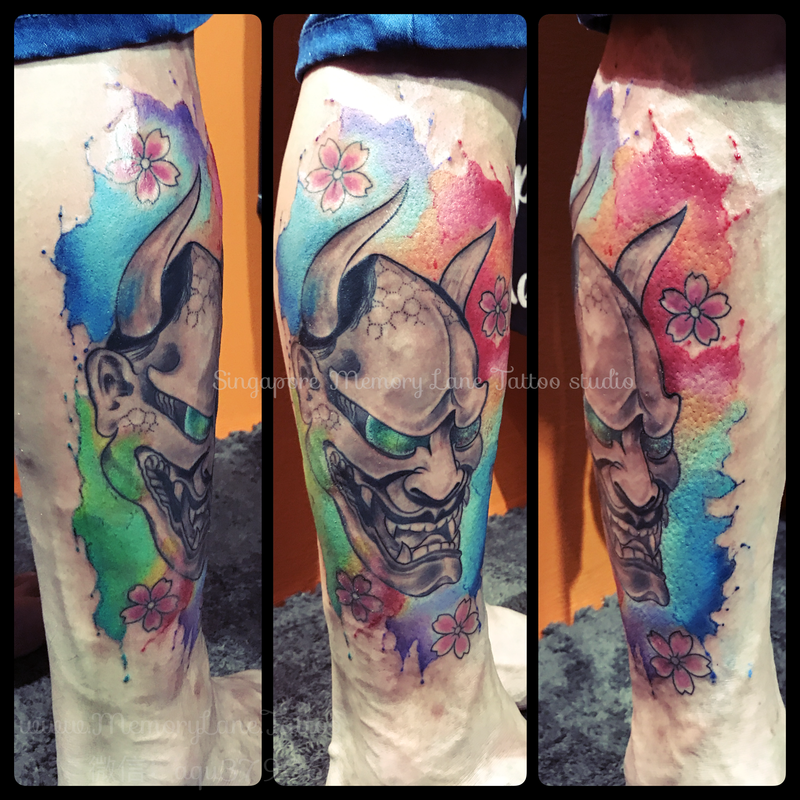 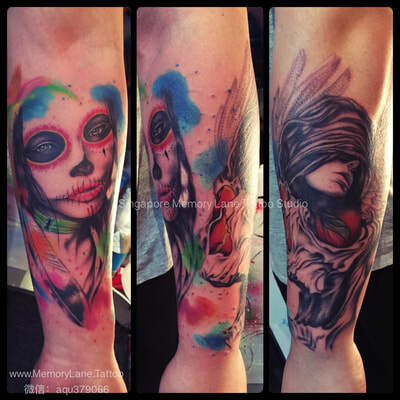 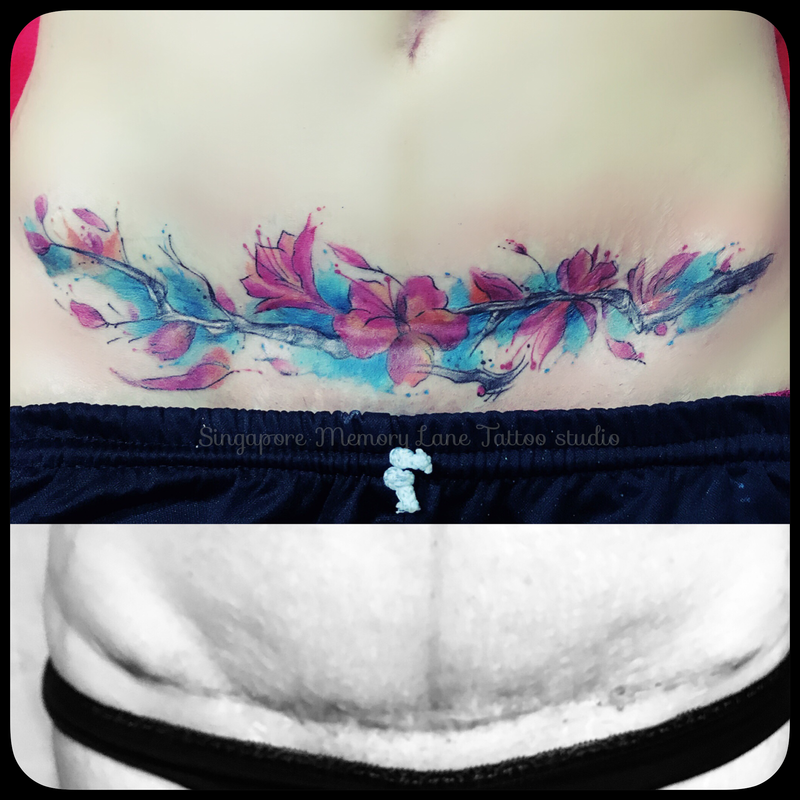 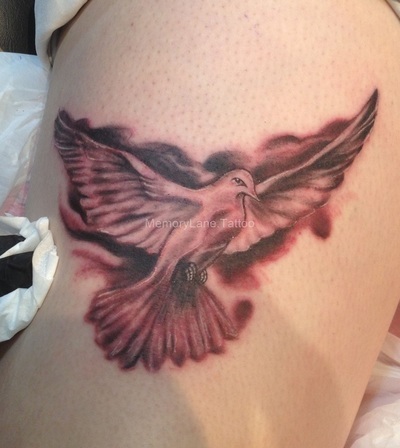 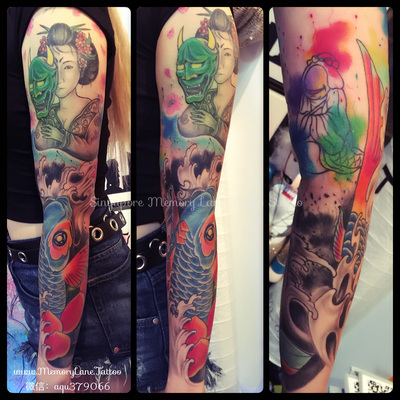 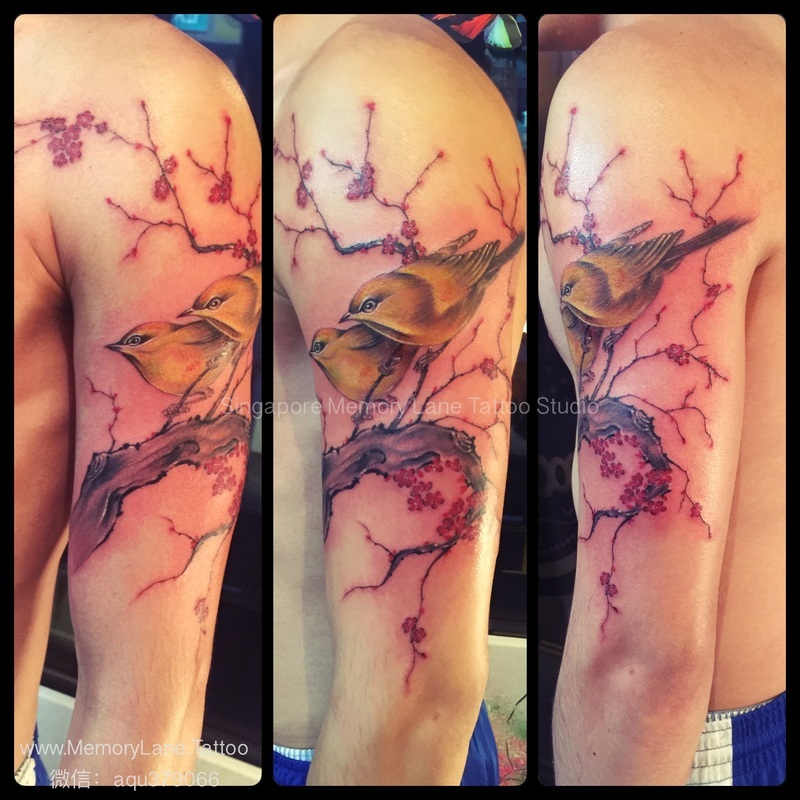 Our specialty include custom work, tattoo and scar cover ups, and everything in between. When you have over a decade's worth of experience under your belt ... you can accomplish plenty! 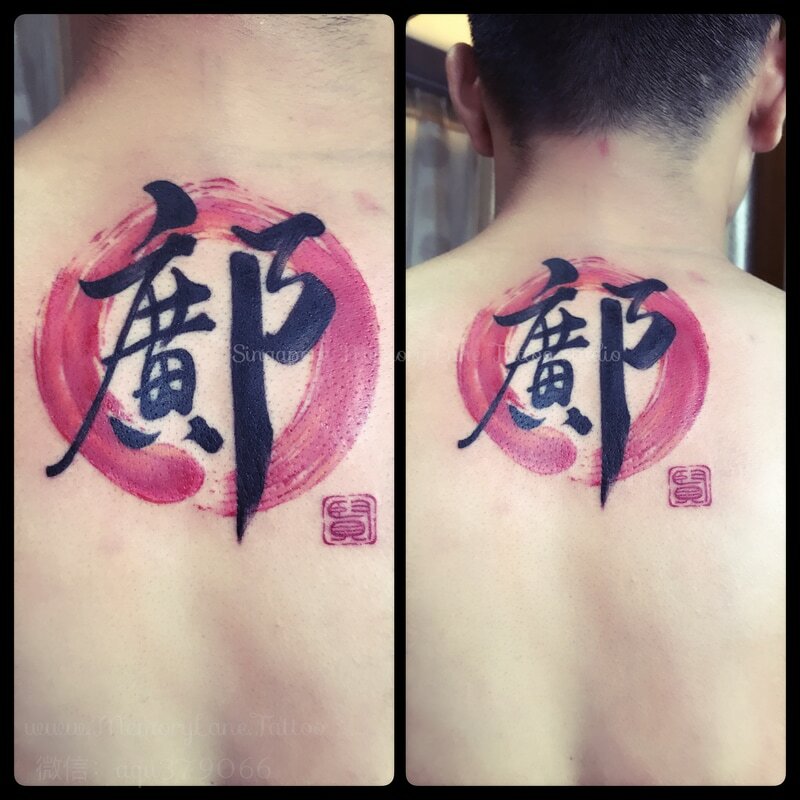 International Celebrity Actor, James Katsuyuki Taenaka (妙中克之) aka Jimmy T., got tattooed by Apple! 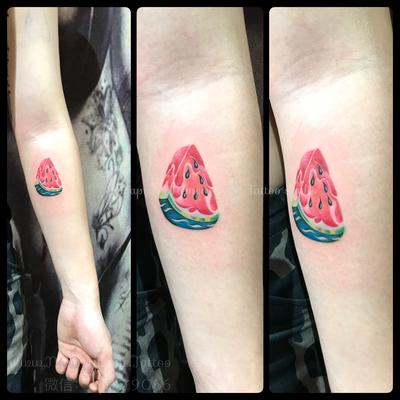 [The above are Apple Qu's past works at another studio] For the latest collection, please visit our Gallery page. 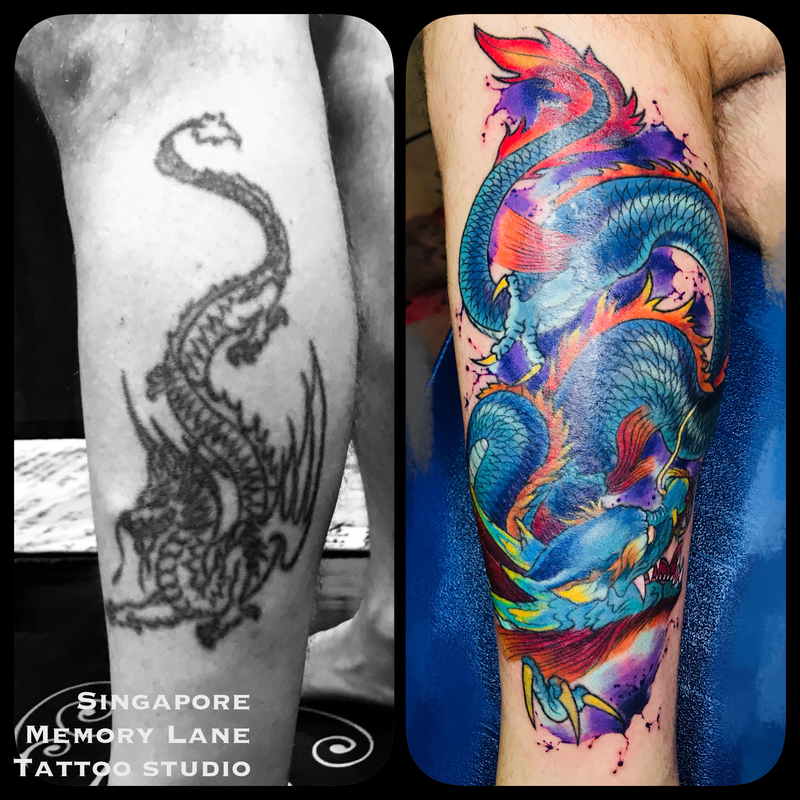 ^A non-refundable deposit is required for appointment booking / designing requests. We have tattoo e-vouchers available! Great for use as gifts to friends or loved ones that has everything you can think of!